The audio of this song is available on YouTube at the official channel T-Series. This audio is of 0 minutes 34 seconds duration. 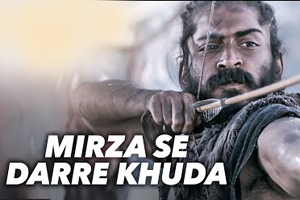 Lyrics of "Mirza Se Dare Khuda"
Lyrics in Hindi (Unicode) of "मिर्ज़ा से डरे खुदा"